Shopify ushered in eCommerce when the platform was launched way back in 2004. Next year, eCommerce is expected to generate $425bn in the US alone. The growing trend of mobile shopping will also have a significant part to play in the evolution of online consumerism. 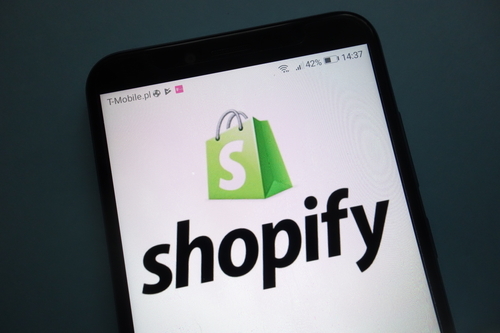 The success of Shopify is largely due to the platform’s adoption of a multiple channels. Subscriber have the option of integrating various social media networks together with Amazon and a number of other eCommerce outlets that receive a lot of traffic. Marketers also have access to a software development kit which enables users to integrate selected third party channels. A popular choice of integration over the last few years has been mobile technologies. The expanding market of mCommerce is gathering pace thanks to responsive web designs and effective technologies that improve the user-experience. By 2020, the marketing spend on mCommerce is projected to capture 40 per cent of online retail sales. Throwing SMS marketing strategies into the mix may be the solution that ensures you get your fair share of the eCommerce pie. Utilising SMS to drive customers to your website and build customer relations will significantly improve your Shopify intake. Integrating SMS into your Shopify platform provides you with a powerful tool that is proven to be effective in marketing. Text message marketing has a healthy success rate and gives brands greater potential to increase sales. The key to text message marketing is to persuade your customers to adopt SMS from the outset. To launch the initiative, the best practice is to offer incentives customers can’t refuse. Your offer should be convincing enough to persuade existing customers to sign up, but will also attract new customers. Having a powerful marketing tool at your disposal doesn’t mean you have to use it to consistently send out marketing ads. As a matter of fact, texting works better as a marketing tool when it is utilised as a means of building customer relations. For example, sending out notifications with confirmation of order and payments together with shipping updates. According to Shopify, 67.45% of shopping carts are abandoned. Yet consumers claim they would be more likely to follow through if brands followed-up with a unique offer. A friendly SMS offering a discount coupon may just be the incentive that prompts customers to complete the purchase. It’s not unusual for retailers to announce the highlights of a new inventory. However, most online store owners choose to communicate with customers via email – only to be left disappointed by a lack of response. The problem with this strategy is emails only receive a 24.79% open rate (Smart Insights). In contrast, over 90% of text messages are opened within 15 minutes. Consumers appreciate good customer service and want to be made to feel special. Rather than sending generic offers out on SMS, why not reserve texting discount for VIP members. Mention they are getting “exclusive pricing” because they are your “most valued member” and the “limited period offer” is especially for them. And don’t forget to personalize the message to make it authentic. Customer feedback is critical for online stores. When you don’t know what your audience wants, how can you improve your customer service, products and lines of communications. Because of the anonymity and speed of surveys delivered by SMS, consumers are more willing to reply. SMS surveys receive good response rates which gives marketers an opportunity to capture feedback immediately and implement new strategies at the earliest possible moment. However you choose to utilise your SMS marketing with Shopify, remember that consumers are not interesting in receiving text marketing messages tempting them to buy something. Modern customers do not want marketing, they want information. Smart marketers use smart ways to communicate with customers in smartphones. Building customer relations is at the heart of SMS marketing – and great customer service is a proven strategy to grow your business.